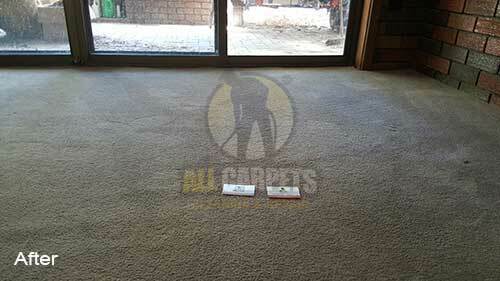 All Carpets provides carpet stretching services for your loose and "baggy" carpet in your home or office. 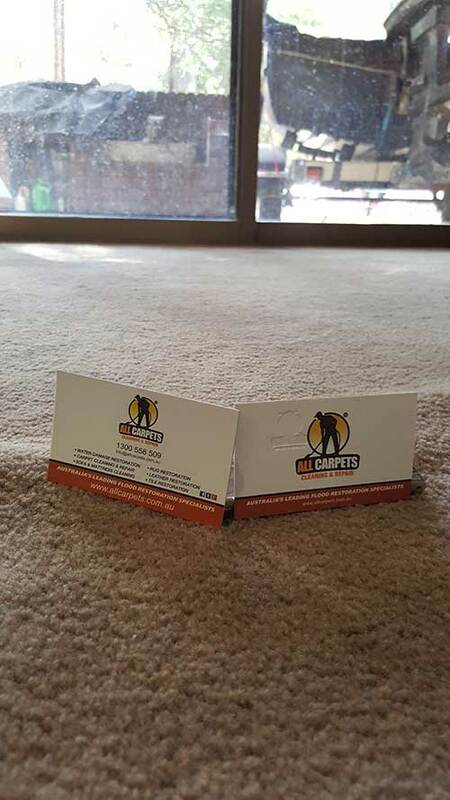 At All-Carpets, we employ a team of technicians who specialize in professional carpet stretching, suitable for almost any carpet style and material. Our team is trained to use a variety of cleaning techniques and equipment, and provided with a broad range of top-quality tools and equipment. Carpet re-stretching is needed when your carpets are loose and "baggy". 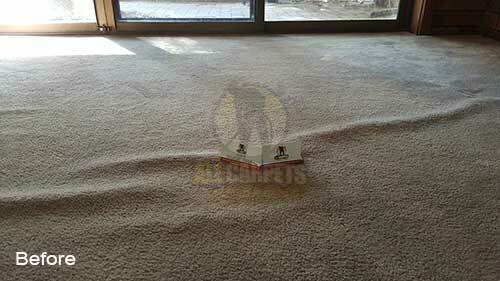 Carpet restretching removes buckles and greatly improves the appearance of your carpets. 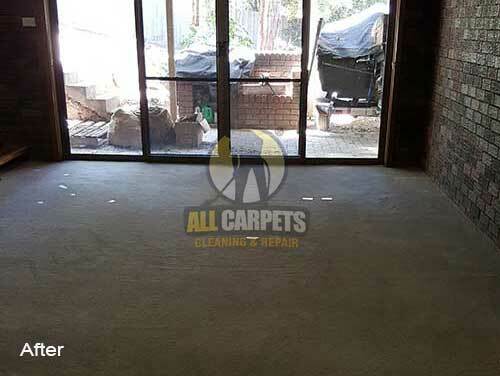 We can also repair seams, burn spots, patch holes and install new metals where the carpet and tile meet. A new service for red stain removal is now available as well. Restretching is used for loose and wrinkled carpets. Like a facelift, restretching makes carpeting tight again. This also prolongs the carpet's life by eliminating wrinkles which can cause the carpet to wear more quickly from the constant back and forth bending that occurs when they are stepped on. It also reduces the danger of tripping on the loose material. In either case the objective with carpet stretching is to prevent premature wear, reduce any tripping hazard and to improve as much as possible the unsightly appearance of the affected carpet. Our customers often describe carpets that need stretching as being "wrinkled" or sometimes as being "wavy". The correct term for this condition is "fullness" and is usually rectified by having the carpet restretched by a professional carpet fitter. Usually this will involve us taking the carpet up around the edges, carrying out the carpet stretching by using a knee kicker carpet stretcher and then re-fitting the carpet and trimming off the surplus carpet. 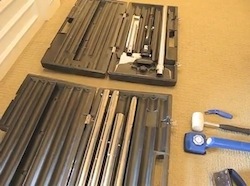 In extreme cases it may be better for us to use a carpet power stretcher in order to get a good result. Invisible mending is involved when carpet pile can be glued to surface of carpet. Wall to wall carpeting makes your home cozier, and provides soft comfort to your feet as well as noise reduction in your home. When All Carpets comes to install your new wall to wall carpeting, our technicians are knowledgeable in many styles of carpet installation. 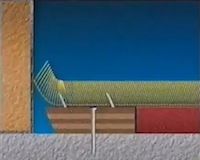 One installation that many people choose uses a professional power stretching tool. All Carpets technicians use state of the art technology to perfectly fit your wall to wall carpeting in your home. This technique not only promises "/a great looking carpet, but it is perfect to custom fit designed patterns into your home. Even carpets that are cleaned regularly suffer from daily wear and tear, and sometime unsightly ripples, waves or lumps can appear in your carpeting. All Carpets knows that these changes in your carpeting can take away from the overall beauty of your home, and you know more than anyone how easy it is to trip over a lumpy carpet. All Carpets's expertly trained technicians will come to your home and take care of this unattractive tripping hazard with our re-stretching technology. Once again we use our state of the art power stretching machine to pull your carpet up along the edges, and once again make your floor a smooth surface. When it's time for a stretching call All Carpets! We carry underlay and carpet gripper etc with us at all times should they be required. Loose stair carpet can sometimes be repaired simply by refitting the carpet back onto the carpet gripper underneath. In other cases we may need to lift and refit the carpet completely in order to leave the stair carpet repair in a safe condition. Individual treads that have become worn can also be replaced without having to replace the carpet on the entire flight of stairs, thereby extending the life of the carpet. Repairing stair carpets in this way does require you to have some spare carpet for me to use for the repair. Your carpet joins might have split or perhaps the carpet has come away from the metal joining strip under the door. With split seams these can sometimes be repaired by being broken open and re-seaming. Carpets that have come away from doorbars can be repaired sometimes by stretching and some times by fitting slightly wider doorbars. We are very happy to provide you with a labour only carpet fitting service for carpets that you may already have acquired from another source. 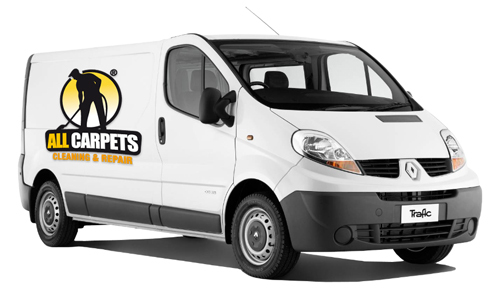 Unlike many carpet fitters who will only fit new carpets We don't mind fitting used carpets. 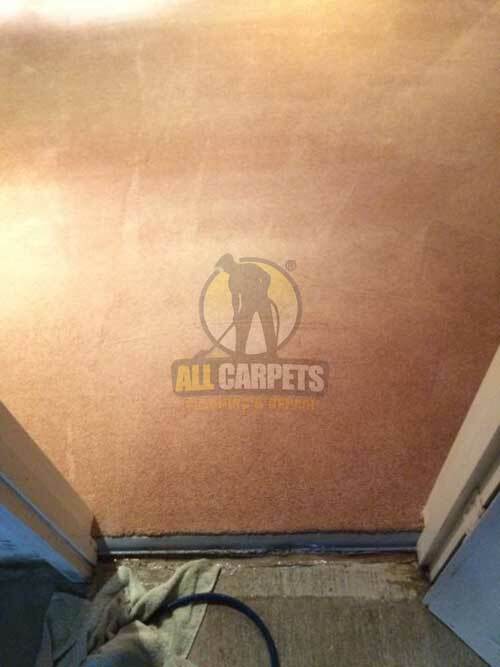 You may have been given a used carpet or want to uplift an existing carpet from one room and need a carpet fitter to refit it somewhere else in your home. Replacing a worn stair carpet for example. Perhaps your builders have been and gone. 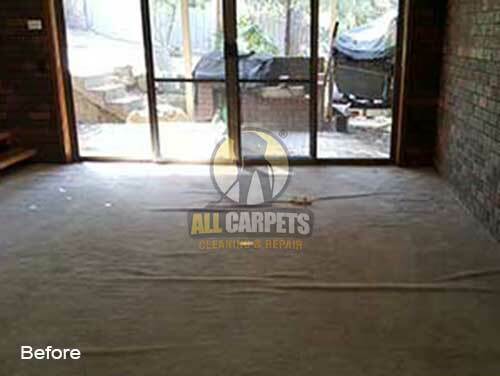 A carpet fitter is needed to re-fit the existing carpet that they pulled up or re-fitted badly. 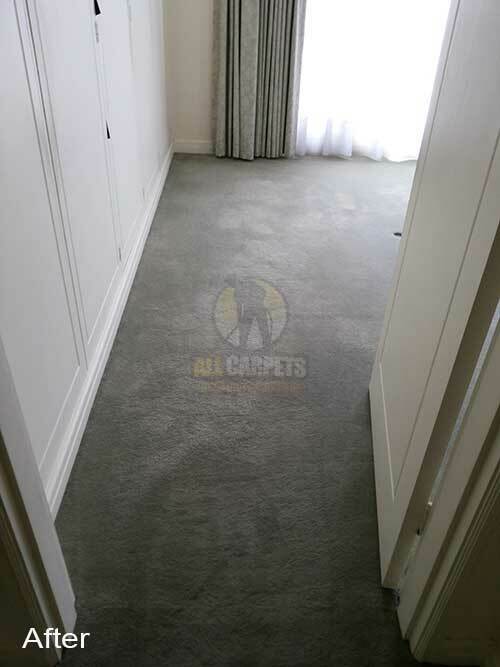 Moving carpets from room to room and re-fitting carpets after other tradesmen (electrians, plumbers, decorators woodworm / damproofing treatment etc) have finished their work, together make up about half of our carpet fitting workload. Help my carpet is wrinkled and wavy can you fix it ? Yes, we provide a service called carpet stretching. 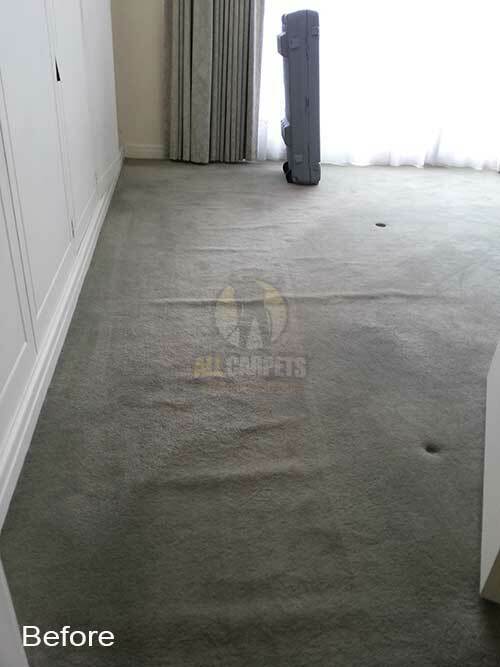 We usually will take the carpet up around the edges carrying out the carpet stretching by using a knee kicker carpet stretcher, or a carpet power stretcher, denpending on what's needed, and then re-fitting the carpet and trimming off the surplus carpet if required. Why do I need a profesional to re-stretch my carpet? Carpet stretching is not something you can do on your own, you need the right tools and knowledge which we can provide! Do I have to do the whole room? Yes the procedure only works properly if the whole room is done. Do I have to remove all furniture for the room? Yes, you have to remove all your furniture because we have to lift up the wool carpet. Will you help me move my furniture? No, we do no move furniture, however we can help you with minor items, but you must arrange to move the furniture prior to our arrival. How else can I prepare my carpet before re-stretching? 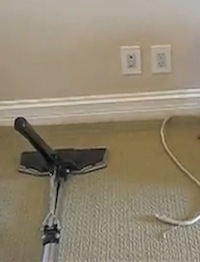 For best results remove all furniture and items from the room, it also helps if you vacuum ahead of time also. How is carpet re-stretching done? We use special tools to re-stretch the carpet tight along all edges. Then we fit it to corners and walls, then glue it back down and trip along all edges. The procedure takes an average of two hours, sometime more and sometimes less depending on the job. Will you cut my carpet ? Not Always, but only when required. As Sometimes after we stretch your carpet we will need to cut it along the edges to re-fit it. When the procedure is done your carpet looks brand new all over again!! How do you charge for carpet stretching? We charge defending on the size of room that the carpet is in. How many people are needed to preform the carpet re-stretching procedure ? Carpet stretching can be down by one man even if the job is big. Do I have to wait for the glue to dry before I can move my furniture back and walk on it? No ! There is no waiting time. You can move furniture back and walk on it safely right after the job is done! Is there any carpets that you can NOT work with? Can you re-stretch carpets for big commercial areas? Yes we can do ANY job no matter big or small. We have worked with many large commercial spaces and have years of experience stretching carpets. Do I have to be home the day you come to re-stretch or repair my carpet? Should I clean my carpet before or after the re-stretching? If you are planning on having your carpet re-stretched and cleaned you have to have the cleaning done AFTER your carpet is re-stretched (they will not be able to clean before) It is a great idea to have your carpet cleaned after you have it re-stretched and we urge people to take advantage of the fact that all their furniture is out of the room and the space is open and ready to go! 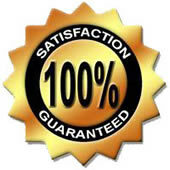 All Carpets team performance and workmanship is very strong. Timelines and quotes are right on point. Very good cleaning service.